Putting his heart on the line's the ultimate risk! 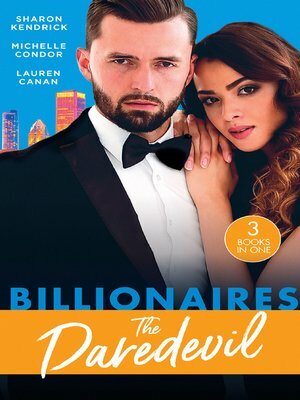 Dimitri Makarov's former secretary is getting married, but instead of congratulating the happy couple, the masterful oligarch plans to stop the wedding... For he's just discovered that the blushing bride is also mother to his secret son! *Hardened cynic Dare James is furious. Some woman has gotten her claws into his grandfather. He returns in a blaze of fury to the family estate to lay down the law... only to find himself attracted to Carly Evans, the woman he had every intention of evicting. *When navy SEAL Chance Masters returns to his Texas ranch, he can't wait for his next assignment. Civilian life doesn't suit him anymore. But then he runs into blast from the past Holly Anderson. Can Holly teach him that you can come home again?